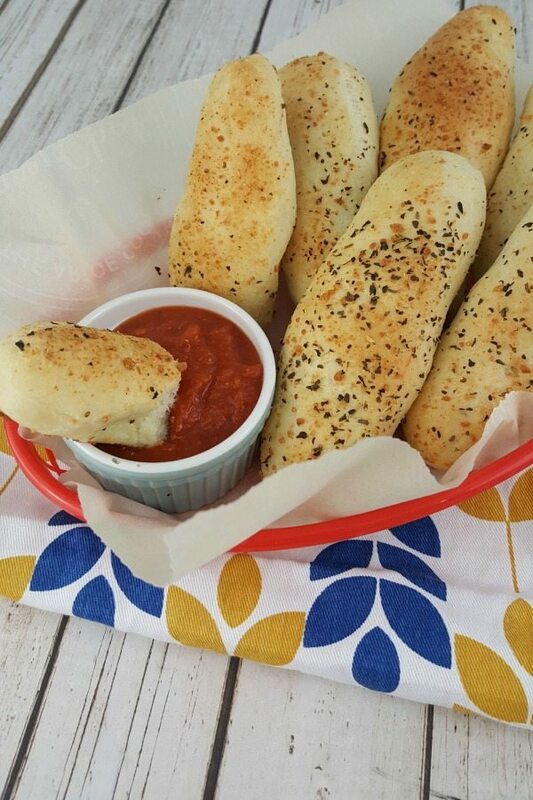 Delicious and Easy Italian Bread Sticks are great for pasta night or game day! You can use a store-bought seasoning mix, or your can whip up your own in just a few minutes. Check out my Italian Garlic and Herb Seasoning Mix for instructions. 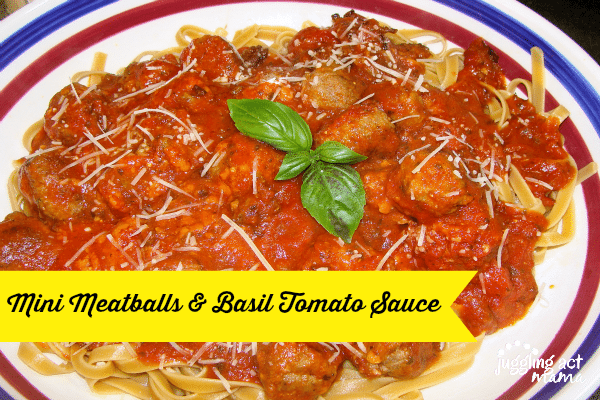 It’s just a great mix to have on hand in your pantry. I use it all the time on pasta and garlic bread, too. 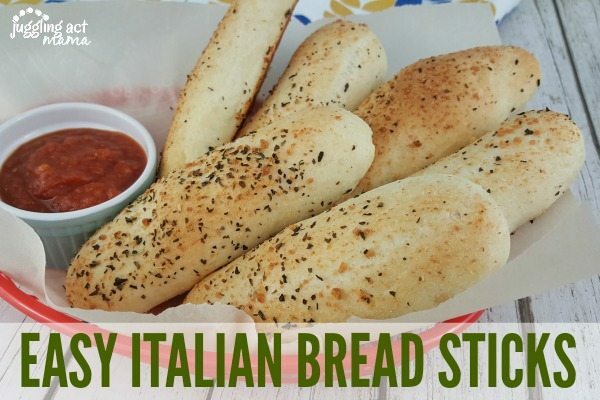 At restaurants, I’m a sucker for bread sticks. Well, I’m pretty much a sucker for carbs in general. Making bread sticks from scratch seems very daunting, but it’s actually pretty easy when you use Rhodes Frozen dinner rolls to start. So easy, in fact, even the kids can help! 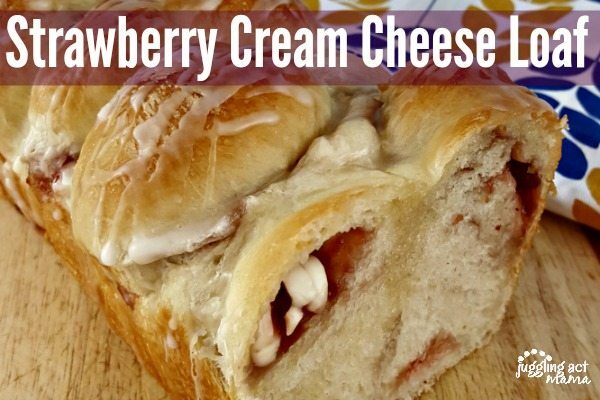 Just let the rolls thaw to room temperature, roll them out, add your favorite toppings and bake. 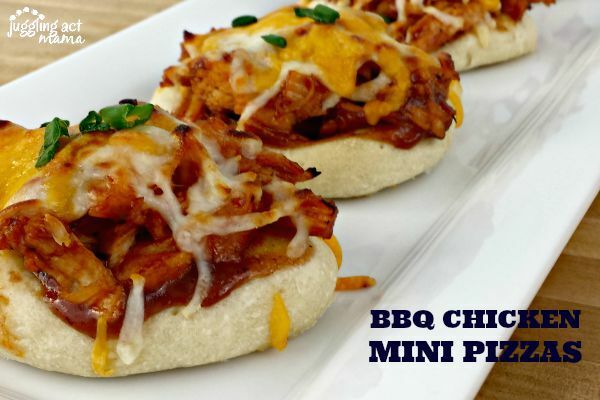 It’s a simple way to dress up your meal, and an easy way to impress your family and guests. Roll the thawed dough balls into logs. Melt the butter and dip the log into it. Sprinkle with Italian seasoning mix. Cover with plastic and let rise until doubled in size. Remove plastic and bake at 350-F degrees for 15-20 minutes. 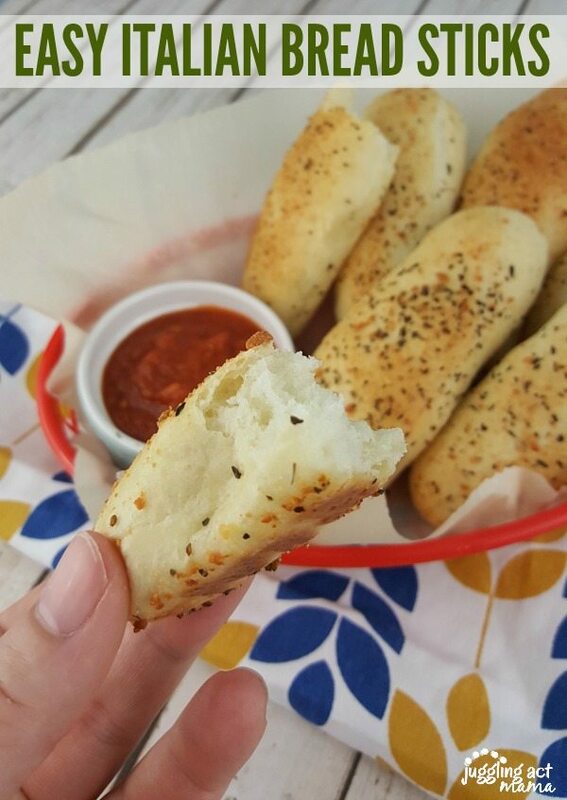 Click over to the Rhodes Blog for the Easy Italian Bread Sticks recipe! These bread sticks go perfectly with my Mini Meatballs & Basil Tomato Sauce – click the image above to get the recipe! The bread sticks are particularly good when dipped into this sauce! I really love your semi homemade recipes! Pinning this for later! Oh wow! 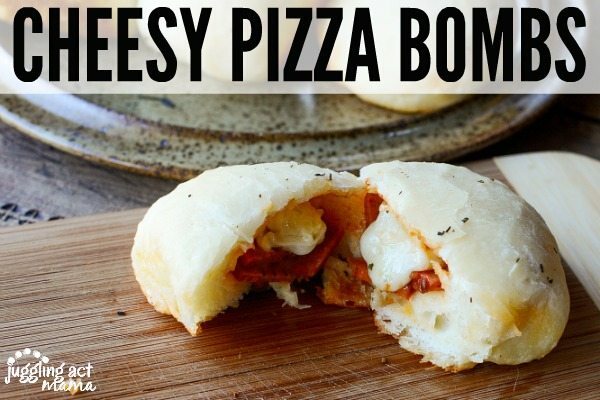 These would be the perfect addition to our pasta nights! I love Rhodes products! Never had one I didn’t like. These look delicious, and we have pasta a lot. I’ll have to try them! I love bread. Reading this has be heading out to the grocery store! Yum! You can do so many things with Rhodes. This is by far my favorite recipe. Thanks for sharing. OMG those look super yummy!